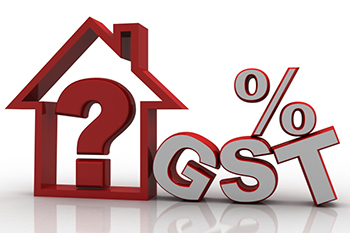 Is the GST rate cut enough to bring real estate back to life? The recent slashing of tax rates for the sector has pumped in new hope for the sector's revival, but is it the only catalyst that could boost the crippled industry? The GST Council, in its 33rd meet on February 24, 2019, cut GST rates on normal under-construction properties to 5% from 12%. For the affordable segment, the rate has been set to 1%. This would be without income tax credit (ITC). This comes as a huge relief for aspiring homebuyers as the cost burden on under-construction properties will reduce significantly. However, will the move be able to revive the real estate sector which reels under the mounting burden of massive inventory and has been limping since demonetization? Earlier, the government had directed builders to pass on the ITC benefit to buyers, particularly for affordable homes. However, there was lack of clarity on the ITC, especially among homebuyers, which led to no benefit for them most times. Rs1.80 lakh would be ~3.6% of the total cost of the house; however, buyers were barely aware that they could avail this amount if the developers passed it on. With the flat rate of 5% in place, the buyer not only has clarity but also stands to gain a lot more. The GST reduces by Rs3.5 lakh and would be Rs2.5 lakh on a Rs50 lakh property. Earlier, even with ITC, this would have been Rs4.2 lakh. But, is this adequate for the sector to enter the green pastures? Let’s look at why real estate is where it is at the moment. Severe cash crunch from demonetization in the largely cash-driven realty sector, RERA norms which put an end to irregularities and diversion of funds among projects, the sky-high pricing of units, particularly cities, which made it an unaffordable asset class for the middle income groups as well as the consequent drying up of liquidity due to slowing sales and incomplete projects. Amidst the hotchpotch of everything that wasn’t working out for realty, the end of 2018 began to see some green shoots. According to a PTI report, housing sales are estimated to have increased by 25% in 2018 at 3.1 lakh units in nine major cities, mainly driven by improved demand in the affordable home category. Further, housing inventory fell 14% in 2018 vs. that in 2017. New supply also fell 22% in the same period, according to PropEquity. This should ease the supply overhang to an extent. However, as the supply-demand gap closes in gradually, the system’s dried up liquidity is still a challenge. According to an ET report, developers have Rs1.29 lakh cr of outstanding debt. Hence, rolling over of loans remains a key hurdle for realtors. Smaller developers also do not have easy private equity fund access. Meanwhile, lenders also struggle with liquidity at the moment over numerous defaults and asset-liability mismatches. Owing to this, developers are losing significant equity, and lenders are being required to take sizeable haircuts. Therefore, the recent cut in taxes will likely trigger the sales velocity for builders, which will gradually help ease liquidity, allow access to funding, and in turn, allow developers to complete projects that lie in suspension due to dearth of funds. However, before this cycle of joy kicks in, home prices need to come down from the clouds -- another much needed trigger for sales to witness an uptick. For all things to be working again for real estate immediately, it would take a miraculous favorable realignment of all the factors that will bring it to its inflection point. The sector awaits the phase where it can get going again, much like a fresh start, but this time it will only be with streamlined processes, much-needed transparency, and top-notch regulatory compliance. This implies a structural change in the sector, which takes substantial time. The GST development, therefore, does not look like a quick cure for real estate, but is definitely the push it needed to get the wheels rolling.